Dallas suburbs provide distinct benefits when compared to urban lifestyles. Many areas in Collin and Denton counties are seeing rapid growth — especially the suburbs of Frisco, Prosper, Little Elm, and McKinney. Here, we examine some of these locations. 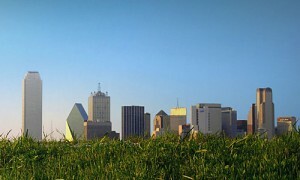 There are a number of benefits to choosing Dallas suburbs for a place to buy a home. In most instances, houses in the Dallas suburbs yield more space per square foot than urban residences. Many residents enjoy increased outdoor space, such as more abundant parking and larger yards. Additionally, those seeking a quieter, more secluded place to live favor suburbs to crowded inner city areas. Certain areas such as towns, villages, and suburbs of Collin and Denton counties are seeing rapid growth — especially the suburbs of Frisco, Prosper, Little Elm, and McKinney. Let’s take a closer look. Seeing about a 1,400 percent increase in population between 1990 and 2007, Frisco has become one of the most popular and well-known Dallas suburbs. Sandwiched between McKinney and Plano, Frisco offers easy commuting throughout the Metroplex, since it provides easy access to major toll roads such as the Dallas North Tollway and Highway 121. Frisco offers townhomes, apartment complexes, and single-family homes in a variety of price ranges. Residents of Frisco with children enjoy a selection of public and private schools. Located about six miles north of Frisco and straddling Denton and Collin counties, Prosper is an up-and-coming, fast-growing suburban community. With an independent school district, record-breaking growth, and the groundwork laid for future commercial and retail development, D Magazine ranked Prosper as the 11th best suburb in the entire Metroplex. The town is home to an abundance of single-family homes with master-planned subdivisions and custom-built homes on small parcels of land. 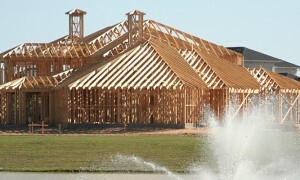 Like other Dallas suburbs, Little Elm is right in the “growth corridor” of the Metroplex. Offering single-family homes in nearly every budget, Little Elm has a number of subdivisions of newer homes. Those who enjoy outdoor activities and aquatic sports appreciate Little Elm’s proximity to Lake Lewisville, along with the town’s public parks. Plans are currently underway for a new master-planned community called Union Park that will provide 2,400 new single-family homes and 100 acres of communal green space. This suburban city is the county seat of Collin County and is located far northeast of the Dallas city limits. The city of McKinney has experienced rapid growth (it’s the county’s second-most populous city, after the city of Plano) and has appeared on national lists as one of the best cities to live in multiple times. Offering multi- and single-family housing, McKinney offers residential suburban living for almost any budget. Due to its size, the city boasts a number of public parks, sports complexes, restaurants, and retail establishments. 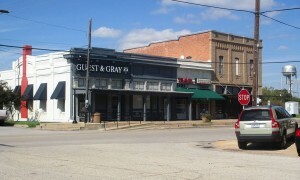 McKinney’s historic downtown area is a favored place to dine and shop as well. While living in the suburbs can make for longer commutes for Dallas-area workers, the Metroplex’s system of toll roads and highways provide for efficient travel most of the time. Dallas suburbs in Collin and Denton counties offer unique advantages, such as more space and a slower pace of life than living in Downtown and Uptown areas. If you’re interested in learning more about these suburbs, consider paying a visit to each area or calling a local real estate agent for more information on community and residential amenities. Water Conservation: Time for Some WaterSense!